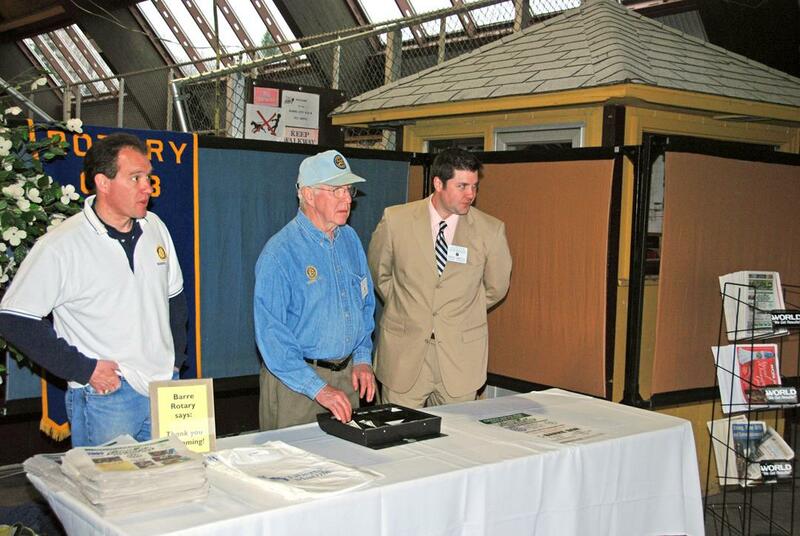 The Barre Rotary Club has a large inventory of Partitions For Rent for Businesses, Churches, Schools & Clubs etc. Great for The Barre Auditorium or BOR, Churches, Schools, Clubs, etc. Very lightweight and very easy to put together. Perfect for fairs, home shows, job fairs, any place where you want to separate one both from another. Partition Rental is $1,500 for all; you pick-up and return. The partitions are stored in four large boxes with the legs in 3 separate racks. Delivery & pick-up can be arranged for all seven boxes for an additional $750. Delivery & pick-up for one box is $500.00. We have 143 +/- dividers along with 280 +/- legs. The dividers are in four (4) boxes each of which measure 8’-9” x 4’-9” x 4’-9”. Currently, the boxes contain 43, 36, 35 & 29 per box. The legs are stacked in three racks measuring 8’-3” x 3’-0” x 3’-10” high. With proper instructions, all seven pieces should fit on a standard flatbed. Dividers are approximately 8’ x 4’ with 2’-6” high legs.